Keeping up with the scheduled maintenance of your Mercedes can be tough. After all, you’re probably busy and might not have the time to stop in regularly at your mechanic’s shop. Plus, the cost of maintaining any vehicle can be costly, which can cause you to want to put it off. However, even though it’s certainly understandable that you might want to put off maintenance for your vehicle, it’s important not to. These are some of the main reasons why. You probably want your Mercedes to last for as long as possible. If you keep up with your routine maintenance as you are supposed to, this can help you greatly extend your vehicle’s lifespan so that you can enjoy your vehicle for that much longer. Even though you might not be excited about paying for car maintenance, you should know that it can be a lot cheaper than making expensive repairs. In fact, keeping up with routine maintenance can be key for reducing and eliminating repair costs. When you get ready to sell your vehicle, you probably want to get as much for it as you can. If you don’t take good care of it, you have to worry about not getting as much for it. Maintaining your vehicle regularly and keeping up with your service records can help you fetch a higher price later on, however. If something goes wrong with your Mercedes, you probably want to make sure that your vehicle’s warranty will cover it. If you don’t keep up with your maintenance, your warranty claim might be denied. Therefore, you should know that if you want to maintain your vehicle’s warranty, keeping up with scheduled maintenance is imperative. As you can see, keeping up with your vehicle’s maintenance is critical. 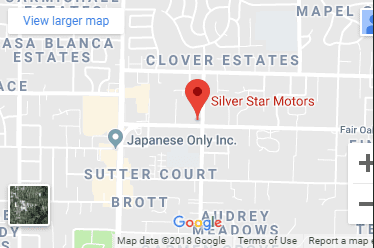 If you need help with maintaining your Mercedes, contact us at Silver Star Motors today.